I don’t know about you, but unless I use body lotion daily my skin goes really dry, especially on my legs. I’m always on the look out for lovely lotions that not only do the job but smell good too. ( I don’t wear perfume so my body lotion is it ). And of course, I want it to be without toxic chemicals, natural and organic too if possible. Quite a tall order in fact. I have now found the absolutely perfect lotion. 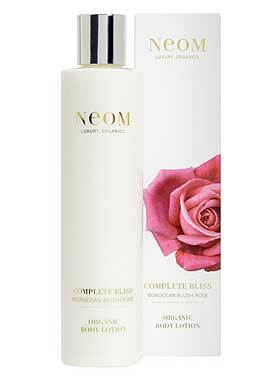 It’s organic, super nourishing, anti- ageing as it has Argan Oil and smells fresh and zesty with an undertone of rose. This is due to the combo of Moroccan Blush Rose with a hint of lime and black pepper so that it’s light and not too sweet. I use body lotions quite sparingly so they last for many months making it worth every last penny. However, just for my subscribers, curtesy of Victoria Health, there is a very special offer indeed if you click on the link below. A whopping £10 off the £25 normal price making it £15! I actually could not believe this offer myself! But this is only on offer today and tomorrow (1st & 2nd March) and only while stocks last. Hurry! !